Born and raised on Cape Cod, Massachusetts, Jason Oslund uses his self taught welding skills to create one of a kind metal sculptures. 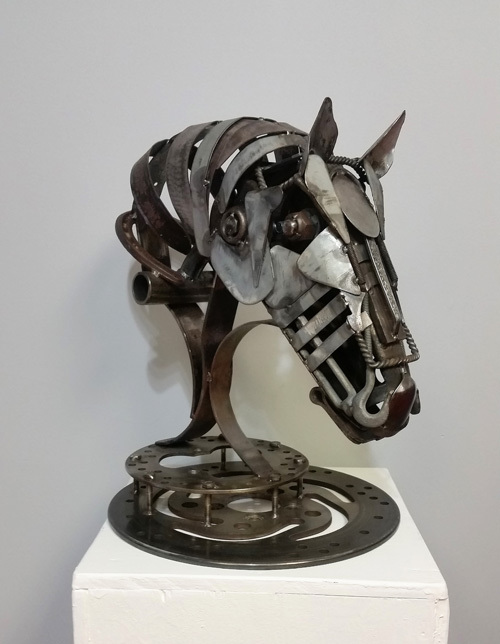 Inspired by realism, Jason welds and forms the salvaged recycled metal until he achieves a sculpture that seems to take on a life of its own. Whether it's a simple dragonfly perched on a hammered spoon or an intricate horse head bowing proudly, you can truly appreciate his attention to detail in every sculpture.